I’ll leave it to you to decide whether the scraps are attacking me or I am attacking them. 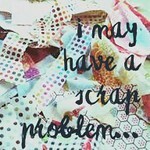 You may have noticed the new button “I may have a scrap problem” in my sidebar. It leads to Confessions of a Fabric Addict’s scrap posts. Here is the link to the plan behind those posts. Guess there are linky parties on the first. Since I’m late to the party, all I did was survey. Is pulling a random task from the twelve required? Or just scrap management consciousness? I’m not sure I’ll pull a task and follow through on it for a month as she does, but there is value in listing tasks.And doing SOMETHING. Make quilts from blocks in #5. Maybe if I do even a little bit of this, I’ll have something to show on the 15th of each month when Kate posts the Scrap Happy list. You might enjoy looking at the progress of other Scrap Happy folks (here). Linking up with Oh Scrap! 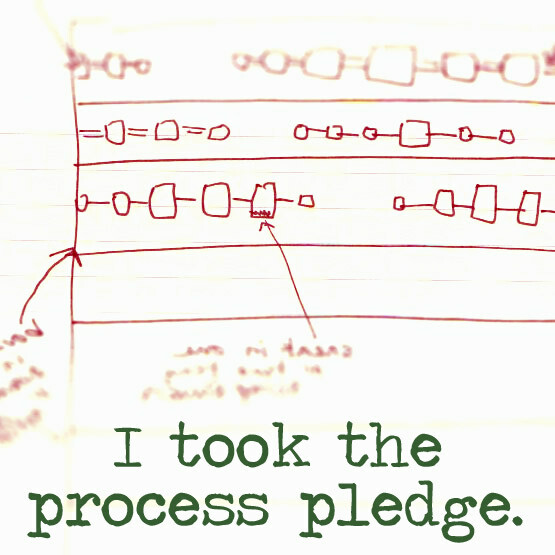 Some people are beyond organizing and actually have projects going–go see! Given my schedule this month, I’d best take a small task. #7 fits the bill. Linking this post that was late for January. Button in sidebar. Yup, a little at a time will make a difference in those scraps……well, I keep telling myself that….lol. I bet I know who you will send your unwanted scraps to. Those half square triangles would be first on my list–so many possibilities. I would say that had you not attacked first, they would have gotten you. LOL This sounds like a good plan, and I wish you the best whipping those scraps into shape! So many scraps! I keep one drawer of scrap fabric pieces and I do sort through it regularly, and USE them. I also discard pieces I’ve decided aren’t big enough or smart enough or funny enough or tasty enough to keep… 🙂 In the old days when I made block quilts, I used my scraps more efficiently, but I’ve settled into a method that still works okay for me. That is a sizeable list…good luck with it. I have learned that keeping your scraps organized helps to use them. When they get out of control they are no longer inspiring. Sounds like you have a great plan of attack. Oooh I love, love, love posts about “scrap wrangling’! Your system sounds great and perhaps you are attacking your scraps instead of vice versa! I must be weird, I never tire of photos of quilter’s scraps lol! I’d say you had an attack of ambition! Good luck! I’ve seen Sarah’s Scrap Attack posts. Good for you for taking the challenge! I haven’t been able to bring myself to do it yet. Fortunately, I feel like my scraps are pretty much under control at the moment. There are certainly other things I could put in a jar and tackle each month though! Attack those scraps… it’s SEW much FUN!!! You should plan your Scrap Attack to fit you – draw one out or choose one, or just be “aware” of your scrap problem (although I find that doesn’t work for me!) Just have fun with it! Good luck with your chosen task for the month! You have to start somewhere, right? Like eating an elephant. lol I keep scraps in giant jars, too. One of my “Scrap Attack” goals is to empty and recycle them this year. Have fun getting things done.